We’ve had a refresh and a rejig and are happy to introduce you to our new website, which showcases everything we do here at Heating Company, who we are, what we do and how we can help clients both residential and commercial. We’ve also had a bit of a refresh to our brand and are keen to hear feedback from our customers; what do you think of our new look? Whilst you’re here please take a look around, explore and see what we’ve been up to, what our clients think of us and the services we deliver. You might know that we offer various services, from heating, power flushing, plumbing and bathrooms, but there’s a number of things you might not realise we have done and our website gives us the opportunity to showcase these things to you. 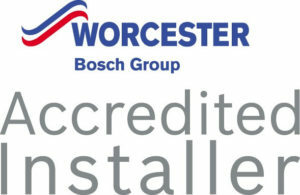 We’re a Gold Status Worcester Bosch Group Accredited Installer, meaning that we can offer a large range of top boilers with lengthy Extended Guarantees! 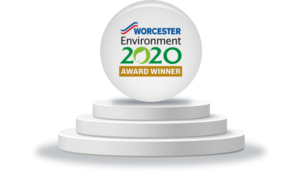 We’ve won awards for our quality of service and approach to the environment, including the Worcester Bosch Group Environment Award 2020! Please let us know your thoughts on the website and our new look, we’d love to hear from you!